I love visiting cemeteries. Surely I am not alone in this. I was in my twenties the first time I saw cemeteries through different eyes. It was a beautiful day in downtown Little Rock and I was meeting an old friend for lunch. We wanted to dine outside, and he suggested we grab a bag of fast food and meet at the old cemetery. It was a little slice of peace right in the middle of the busy city. The cemetery was like a well-groomed old park no one went to. Reading the tombstones was inspirational and made you reflect on your own life, creating good sentiments for every person. This Memorial Day, consider a family outing to an old cemetery near you. There are all kinds of cemeteries: military, city, church, family, Confederate, etc. You can even come upon one when you least expect it. I was shopping for plants at our local nursery, a large one on the edge of town, when I wandered to the back of the property and found a small creek with 100-year-old tombstones strewn about. It was an old family plot. The current owners had been respectful enough to leave it and had even added a picnic table where employees could eat lunch. Again, it was a slice of peace that felt soothing and reverent. Each spring when I freshen up my flowers, I check on the little graveyard. One year, a new grave had just been added. It looked out of place because there had not been a new grave in more than 50 years. An old man was working the register, and when I checked out, I asked him about the grave. He said it belonged to his wife, who had died at the age of 81. The next year when I made my annual spring visit, I checked on the cemetery and found another new grave. It was the old man, who had died and was laid to rest next to his wife. The graves inspired so many feelings. I felt special to be viewing them. I felt very small in our universe and very big at the same time, to be connected through so many cemeteries. If you decide to take your family or friends to a cemetery this Memorial Day, be prepared for your soul to be sated. It is a powerful, positive experience. Depending on the type of graveyard you visit, you may want to bring along a snack, sunscreen, camera, pen and paper, flowers, or flags. If you get hooked and want to dig deeper, you can begin to research the art and symbolism on the monuments and mausoleums for an intellectual and spiritual experience. Also, those who research genealogy may want to bring along paper and charcoal or crayons to take rubbings from tombstones of the people you’ve researched. 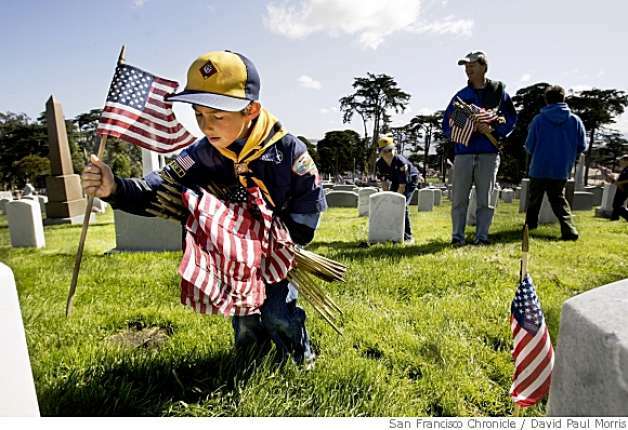 You might also want to honor veterans this Memorial Day with a few stick flags. 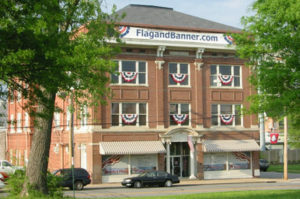 Drop by Arkansas’ FlagandBanner.com on 800 West 9th Street in downtown Little Rock and pick up several to honor our fallen heroes with.